Hali, Veranda, Traditional Home, Southern Accents, Southern Living, Antiques & Fine Art, The Magazine Antiques, New Old House, Old House Interiors, New York House, Coastal Living, Design NJ, The Philadelphia Inquirer, and many more. We were also chosen as one of the lead designers at the Designer Showhouse of New Jersey. The showhouse was chaired by Mario Buatta. Here's our room! 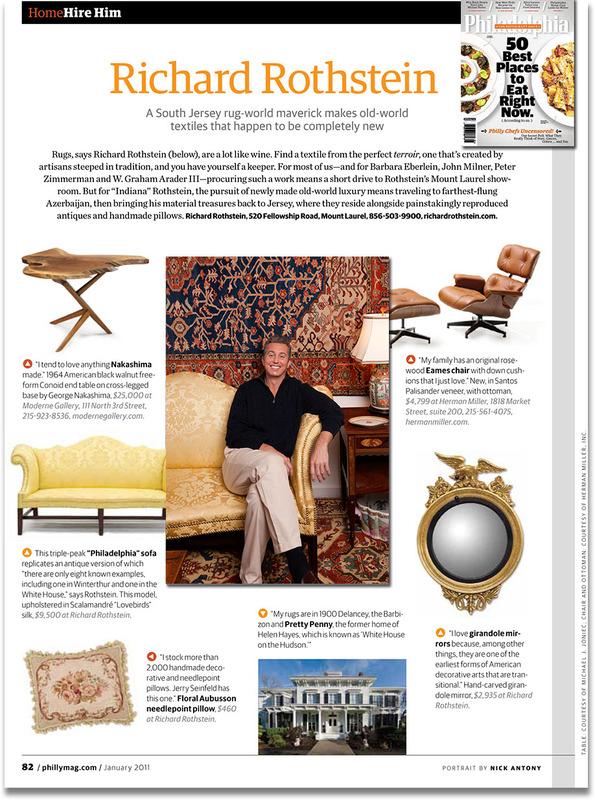 And here is our most recent piece from Philadelphia Magazine.